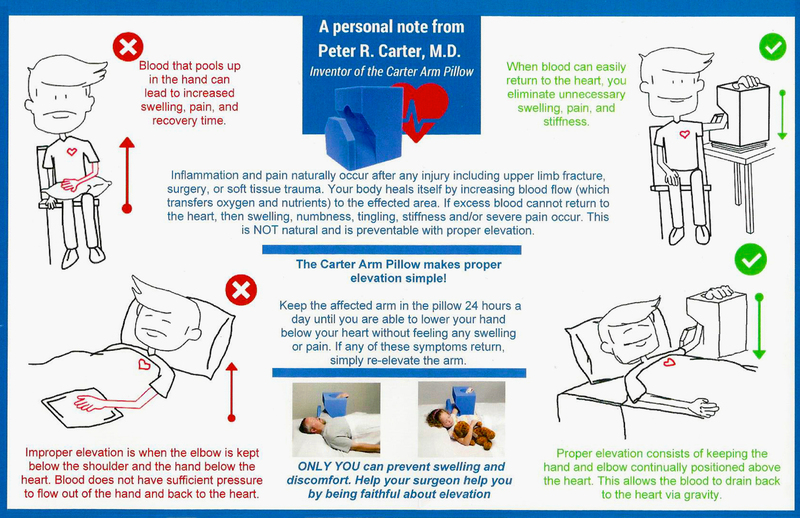 Originally designed by hand surgeon Dr. Peter Carter to help nurses elevate patients’ hands after surgery, the Carter Arm Elevation Pillow has been around for years. Now it’s back and better than ever! The redesigned Carter Pillow is made of softer, more durable, wrinkle-free foam. Best of all, the new Carter Pillow is now available in both adult AND pediatric sizes. 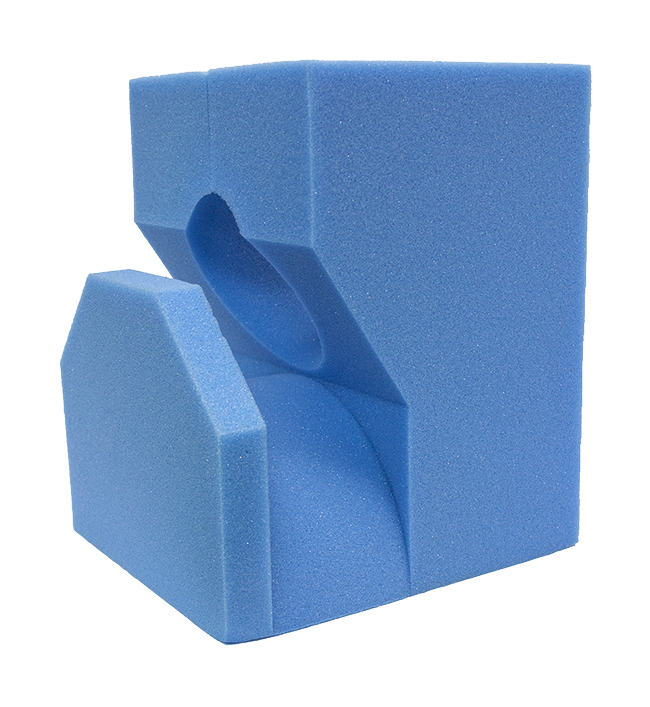 Not limited to hand surgery post-op patients, the Carter Pillow is especially valuable for the upper limb fracture outpatient care – they can take it home from the ER and you know that the elevation will be done right. Less swelling means less pain and smoother recovery. Easy to use, cost-effective, and ideal for the ER, post-op – and best of all – the patient’s home. • PLEASE NOTE: We do not bill insurance, but you may be able to submit for a claim yourself.